Für Janis habe ich 2 T-Shirts gemacht. Die Vorlagen habe ich mit der Cameo aus Vinyl geschnitten und mit Rayher Textilfarbe auf die Shirts gebracht. 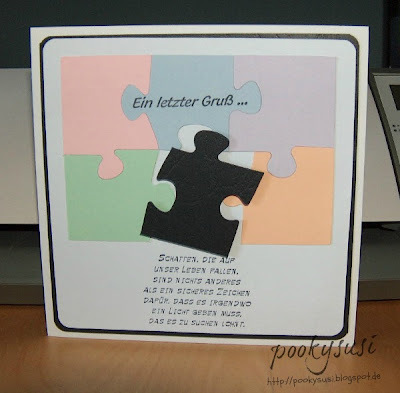 Die schwarze Schrift "Screw it" ist aus Bügel-Flockfolie und das Lebensmotto von Janis. 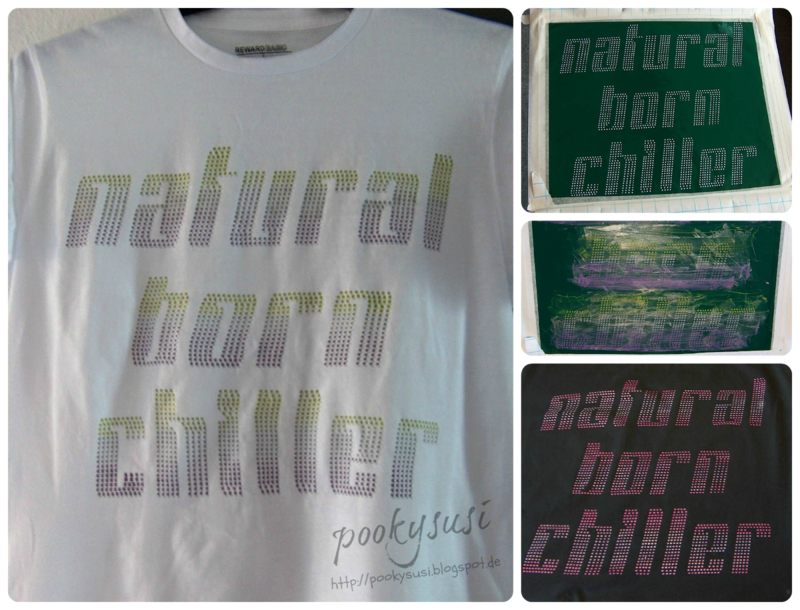 These shirts are made for Janis, I cut the stencils with the Cameo and brought it with Rayher textile colour onto the Shirts. The black font "screw it" is flocked heat transfer and the credo of Janis. Das Schiff-Pop-Up Vorlage ist von Robert Sabuda, die Nutella-Karte habe ich selbst erstellt, und teilweise mit Print&Cut gearbeitet. Birthday card for a Nutella, Carnival and sailboat addict. 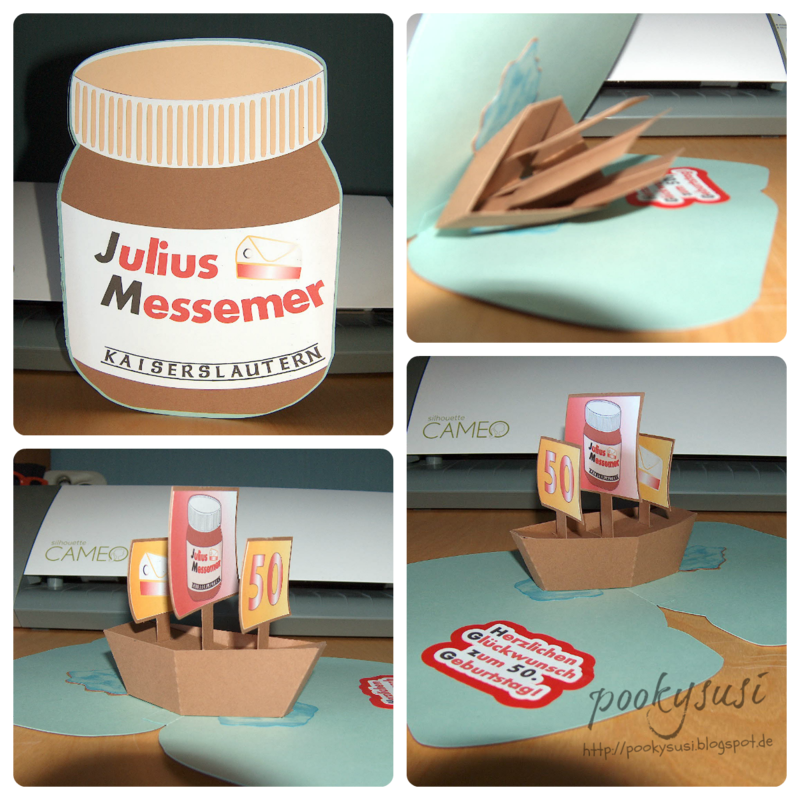 The sailboat pop-up template is from Robert Sabuda, I made the Nutella Card shape and worked with print&cut. Und eine Pop-Up Karte zum Thema Bauernhof und Kühe. Die Schneidedateien sind von Lettering Delights aus dem Eeieeio Set. And a pop-up Card with a farm and cow theme. The cutting files are from Lettering Delights Eeieeio set.